What was the result/outcome of the project? The attacks on the Twin Towers on September 11th, 2001 generated a ripple effect felt by every American and the world over. While the tragic events of that day are forever seared in our minds and hearts, the damage to our country’s infrastructure is not. The destruction and aftermath of the attacks led to much of the existing transportation in and out of downtown Manhattan inaccessible. Subway stations, such as the PATH station and Exchange Place station, were shut down and left inoperable. Through the joint efforts of various government departments and agencies, both state and federal, allowed for the speedy reconstruction of the city’s transportation infrastructure. While operations are not expected to wrap up for another few years, the restoration of the site has been in full swing since shortly after the attacks in order to bring about a new and improved World Trade Center. 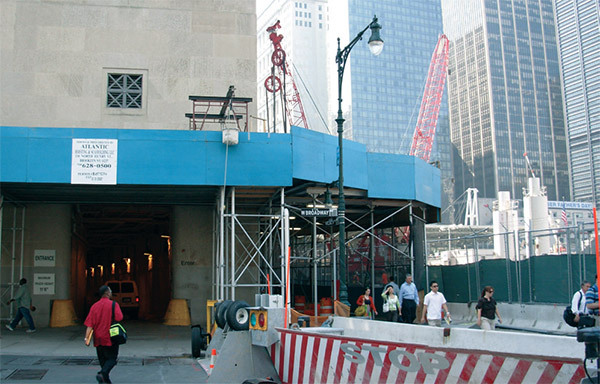 Wang Technology continues to play a key role in the rebuild of the New World Trade Center by providing a full array of Geotechnical and Structural Instrumentation services with the six key contracts outlined below.